Touchscreen BlackBerry Bold-like device coming next year? | BlackBerry Blast! BlackBerry Blast! > News > Touchscreen BlackBerry Bold-like device coming next year? Touchscreen BlackBerry Bold-like device coming next year? There are new rumors today about the next BlackBerry to come from RIM. It appears that after successfully creating the touchscreen BlackBerry Storm, RIM will now create a Bold-like BlackBerry with a touchscreen and a QWERTY keyboard. 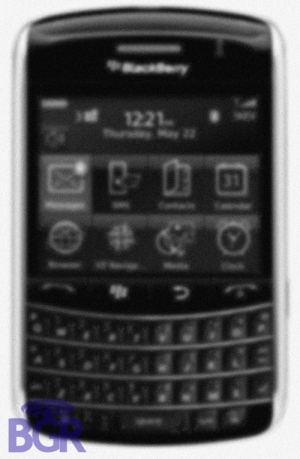 BGR is reporting that the new BlackBerry, codenamed Pluto, will be a HSDPA BlackBerry with a touchscreen and keyboard in a BlackBerry Curve 8900-sized body. The new Pluto will have the BlackBerry 9900 number and is expected to be released in Q3 or Q4 of 2009.